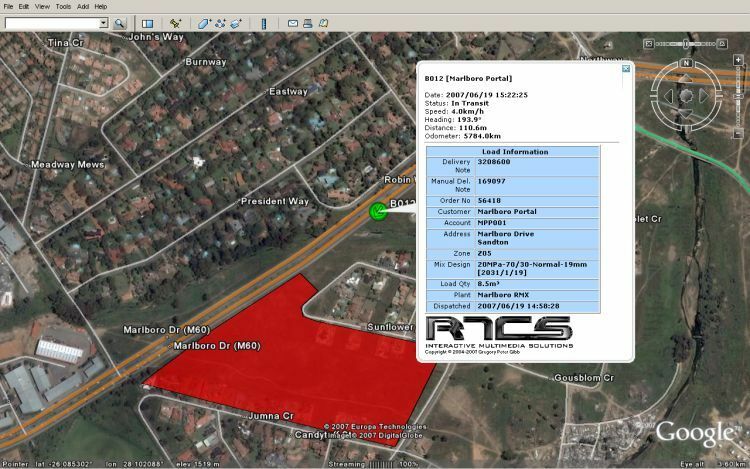 (Eastern Cape, South Africa) 40+ Monitoring of readymix vehicles and the delivery of readymix concrete to their clients. 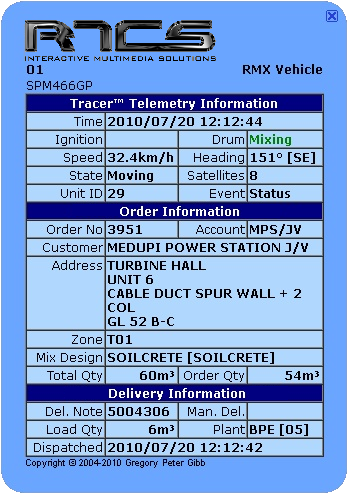 SMS message is automatically sent to the client as soon as the product is loaded into the delivery vehicle, confirming the delivery and providing an ETA (Estimated Time of Arrival) of the concrete. (Limpopo, South Africa) 40 Monitoring of readymix concrete delivery and pump vehicles. SMS notification is sent to the site supervisor if incorrect concrete mix-design is supplied to a pump vehicle.